Inspired Self Help Tip Assists You To Free Your Mind! Television! Can You Even Do It? This inspired self help tip suggests that you consider turning off your television set. And I challenge you to see if it’s even possible for you to do so. Through this shortcut I explain the many reasons why this will be beneficial to you and how deciding to watch less television will enhance your life. To be clear though, technology can be used for either good or bad purposes, so by itself technology is always neutral. As far as technology goes, I believe that television is a fantastic invention and I’m truly grateful to those innovators who worked on it and who brought it into our reality. However, if you’re on the path of self knowledge, you’ll find that by following the advice of this inspired self help tip and actually refraining from watching too much television, your life will expand in directions you hadn’t previously considered. And as a result you’ll feel better and be happier more of the time, guaranteed! 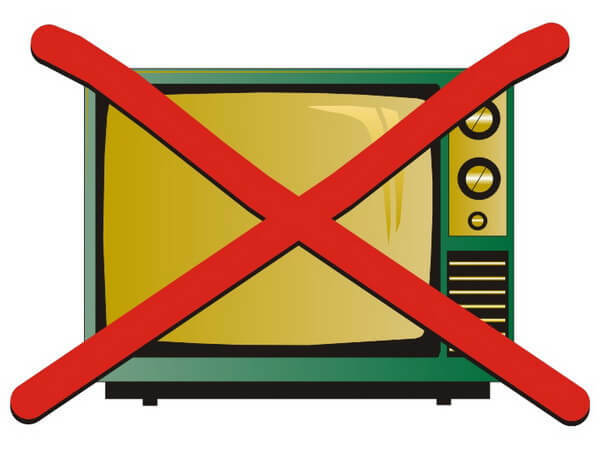 Inspired Self Help Tip - Why Turn Off Your Television? If you thoughtlessly watch television, especially television news, on a regular basis you risk becoming addicted to it and through that process, you risk becoming a victim of your own repetitive thought processes. We always get to decide what we’ll focus our attention upon. So you decide and you choose to watch the daily dose of fear and misery output by mainstream news channels. And then you perceive the normally bad news and you respond to it through negative thoughts, which, if you're honest, don’t make you feel good. When you watch negative television news, and let’s face it 99% of TV news is negative, you setup an unconscious negative holding pattern in your mind! And then your negative thoughts attract similar negative thoughts which don’t make you feel good either. And if you pay too much attention to the bad feeling news, actual negative events will appear in your life as well. Thus, the cycle of doom, gloom and not feeling good is perpetuated day in and day out, all due to you habitually watching television news! Free will dictates that in every moment of our existence we have a choice of what to focus upon and what to pay attention to. Everything we experience begins with our own thought process and the subjects and things that we pay the most attention to, so why choose to pay attention to negativity if you don't have to? Of all of the positive news happening every day around the world, the television news channels decide and choose to focus upon and bring mainly negative news to us. In a similar manner we can just as easily choose not to watch that news and to focus on something positive! Remember that any and all news is just a story. But other people’s news and stories of their pain does not have to be a part of your personal reality! If you habitually watch negative television news, negatively themed movies and documentaries, such as those predicting doom and gloom, the end of the world, global warming or resource depletion scenarios etcetera, then you'll be attracting negative things, experiences and outcomes into your life! In other words, you’ll be falling prey to other people’s negative ideas and projections and thus you’ll be a victim of those people who, either don’t know what they're doing or who do know what they're doing, but who don’t care about you! Here's my inspired self help tip on how to break your television habit. Several years ago, to break my habit of watching television news I stopped watching all television programs for one year. Instead, I decided and chose to watch carefully selected videos, series, comedy, movies and documentaries, for both educational and entertainment purposes. Not being constantly reminded of all of those actual or projected negative scenarios presented by television news resulted in a major change in how I felt. Please do it and you’ll feel better, I promise you. That’s why this inspired self help tip suggests that you start by turning off your television set - for a year, a month, a week or a day - can you even do it? I’ve never looked back! You’ll have more time to be productive in other areas of your life! Advertisers and other manipulators won't have a hold on your mind! You’ll feel better due to not being addicted to the news and you’ll be more in control of your life! You’ll have more time to inquire within and learn self help and personal growth tips that will enhance your life! It's such an infinitesimal part of reality at large that need not and should not occupy too much of your attention! You won’t be paying attention to negative stories, thus you won’t be activating or sustaining the vibration of fear within your being! Don’t worry, these days it's easy to stay informed. I update myself on what’s happening in the world by using the RSS news feeds of my preferred internet news providers. They’re similar to the one used adjacent to the recent articles listings below the footer on this website. Just click the site's feed in your browser and you’ll instantly see a list of the latest headlines. Then it’s always up to you to decide and to choose if you prefer to read about people getting blown up in Iraq or Afghanistan, or only to read the uplifting or positive stories, of which in truth, there are far more - although they rarely make it to the mainstream news syndicates. Be aware of the dark and acknowledge its existence and value, but do not focus upon it. As long as you pay attention to it you will attract more reflections of it into your awareness. What do you really want in your life? Do you prefer positive or negative stories? The bottom line choice is always yours. However, throughout this inspired self help tip page, I stongly suggest that you don't watch any television news and then you’ll lead a happier life, guaranteed! I’m not against anything. If something makes you feel good and has no detrimental effects then it’s all good and probably worthwhile. It’s up to you to use your own discernment when deciding what to pay attention to. And by always being aware of how you feel at all times, you won’t go far wrong. However, this inspired self help tip also reveals to you why even neutral television and other media can have a detrimental effect on your life. Let’s look at sports television, using football as an example. Note: football can be replaced by soccer, racing, baseball or any sport where people idolize the players. If you love watching sports on television for the pure joy of it and not as an escape, that’s great! It's worth noticing that when your team wins you very feel good. You might even make a point of telling friends who support the losing team and brag to them about your team’s victory. However, it's also worth noticing how you feel when your team loses, not good, right? Your thoughts on any subject dictate how you feel. Noticing that how you feel is dictated by your thoughts concerning outside influences, a good question to ask yourself is: is it in my best interest that I feel happy when my team wins, but I feel unhappy when they lose? Who really cares if a fictional character in a soap opera has an affair with his friend’s wife? Does it really matter to you that Britney Hilton broke her fingernail and paid US$ 50,000 to have it fixed? Or that a game show contestant correctly answered scores of questions on subjects that you know nothing about or have no interest in? Rather than watching endless soap operas, game shows or sports programs on television, ask yourself: would my time be better spent inquiring into self help subjects which, once understood, will bring me more awareness, true happiness, health, success, love, peace and real spiritual understanding? Put another way, does being happy on a temporary basis, such as when your sports team wins, or learning about life and through that awareness and understanding, being happy and at peace all of the time serve you best? At the end of the day, or your life, does it really matter who won the most games or who paid the highest transfer fee for a player? Why not learn about reality and deliberate thinking from people who know what they’re talking about, such as Joe Vitalie, Neville Goddard, Abraham-Hicks or Bashar? Or learn from Mike Dooley of the Infinite Possibilities that are there for your pleasure and joy, the very moment you desire them! And perhaps you'd benefit by learning more ideas about truth and the nature of reality by reading the Conversations With God trilogy, by Neale Donald Walsch, and in so doing, gain greater clarity on what life's all about. In addition, you can move beyond limitation and temporary ego-self produced happiness as revealed on this self help relationship page. And find out what is real in life and who you really are by exploring the deeper level section.